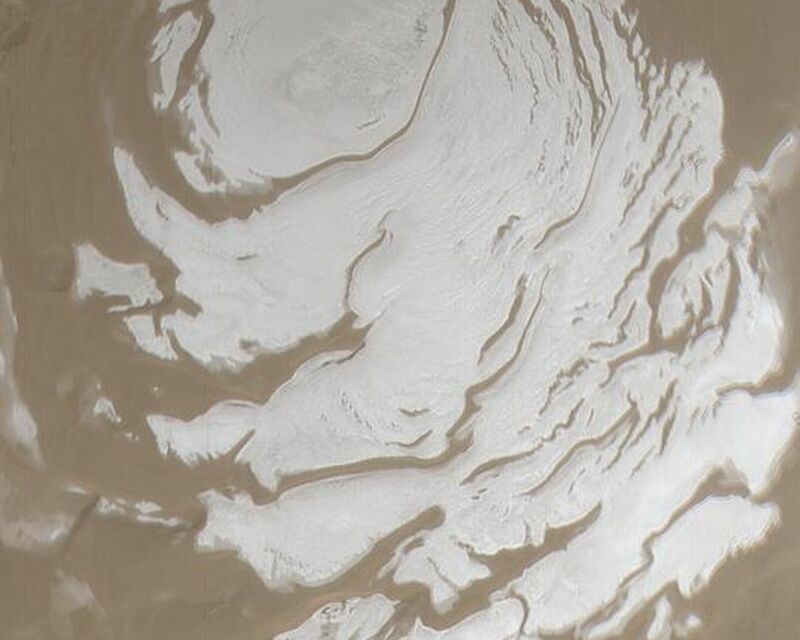 This Mars Global Surveyor (MGS) Mars Orbiter Camera (MOC) wide angle camera view of the martian south polar residual cap was acquired in March 2002, at the peak of the last southern summer. 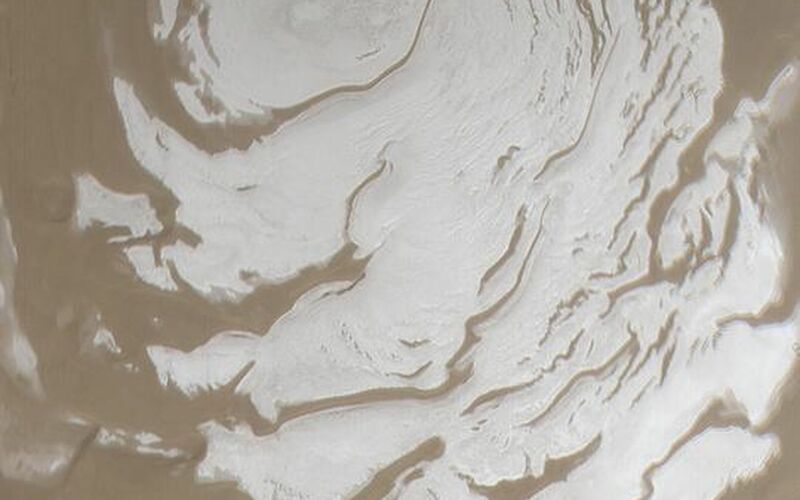 The ice at the surface of this summertime cap is mostly composed of carbon dioxide. 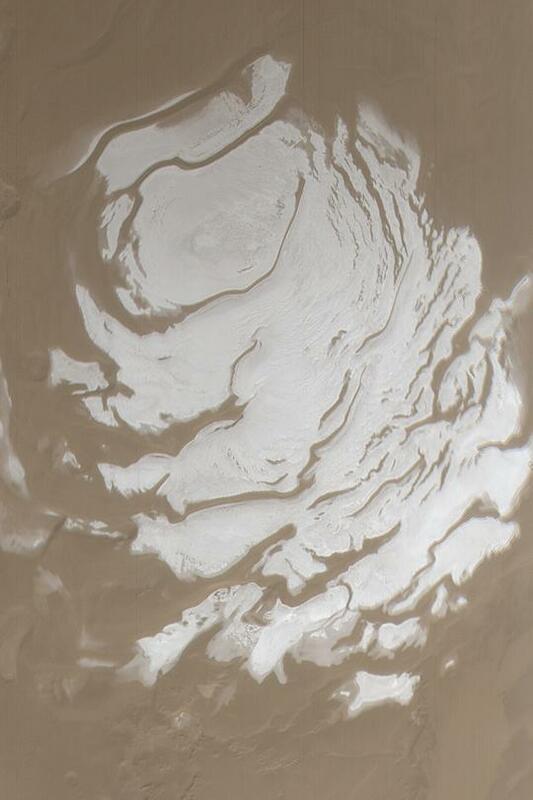 The picture covers an area about 600 km (373 mi) wide near 90.0°S. Sunlight illuminates the scene from the lower right. Compare the view shown here with the appearance of the cap 1 Mars year earlier in April 2000 by visiting: MOC2-225, 27 April 2000, "South Polar Cap, Summer 2000".